Here you can purchase Archer Macleans Mercury and Mercury Meltdown for the PSP (NEW). Free UK Delivery on all orders. Once again taking control of the liquid Mercury 'blob', players must avoid various obstacles and hazards to reach the end goal. The Mercury blob itself has now been given an overhaul and has 4 varying 'states' Normal, Solid, Fast and Slow. These states allow for larger more complex levels, which in turn mean a greater challenge and more enjoyment to be had for the player. The number of levels has more than doubled now 160+, and with the newly added feature of Downloadable Content more levels will be made available at a later date, via Sony Computer Entertainment Europe's official website. Wireless 2 Player modes have also been an important addition, with 5 sub games each providing a challenge against the computer or a friend. Created by Archer MacLean, Mercury puts you in control of ultra realistic liquid mercury which you have to steer through 72 levels spread over six challenging worlds. Using your brain and balance, control the mercury around various obstacles and puzzling scenarios as well as keeping everything intact. Blob control is important; keeping your liquid mercury together and not spilling is the key to completing your goal as well as identifying the colours you need to move through certain areas. Once you've achieved your goal you'll face the end of level boss who won't be a walk in the park. Can you handle the challenge? Unlock able levels per world for hi-scorers and a bonus 7th world to discover a training camp for beginners for to practice blob control and colour manipulation. Ultra realistic liquid mercury effects never before seen in a game. WiFi mode for you and a friend to hook up and compete based on all the levels in the single player. 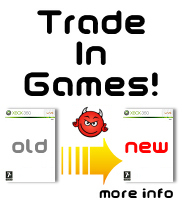 Our price is discounted to just £3.23 from the game demon - wholesale suppliers of PSP games.